The Red Roof Inn & Suites Brunswick is newly renovated and is a great location for relaxation or fun! Start your day off with a free continental breakfast before heading out to the many attractions in the area. Located off of I-95 and U.S. Route 341, the Red Roof Inn & Suites Brunswick makes it easy to have fun visiting St. Simons Island Beach, St. Simons Island Light, Jekyll Island and Summer Waves Water Park, all of which are each only 20 minutes away. Red Roof Inn & Suites Brunswick is also less than 15 minutes from the Emerald Princess Casino Cruise Ship and Hofwyl Broadfield Plantation and is also near the Federal Law Enforcement Training Center and the Southeast Georgia Regional Medical Center. When you check in, check out the fantastic new amenities in our NextGen design rooms! The rooms at this hotel feature plush high-end bedding, new modern design flooring, and a large, flat screen TV. All rooms offer free WiFi and microwave & refrigerator. Complimentary coffeehouse-style coffee & tea are offered in the lobby and one well-behaved family pet per room is welcome. 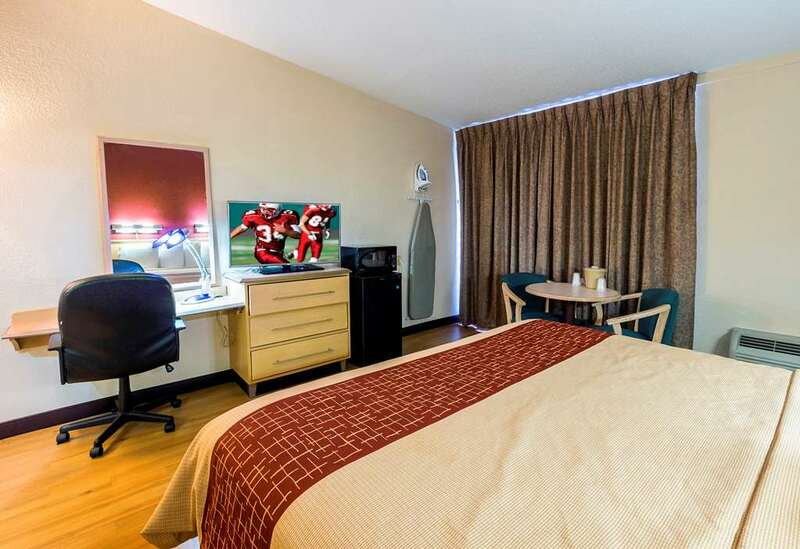 The Red Roof Inn and Suites Brunswick is a great location for relaxation or fun! Start your day off with a free continental breakfast before heading out the many attractions in the area. Located off of I-95 and U.S. Route 341, the Red Roof Inn and Suites Brunswick makes it easy to have fun visiting St. Simons Island Beach, St. Simons Island Light, Jekyll Island and Summer Waves Water Park, all of which are each only 20 minutes away. Red Roof Inn & Suites Brunswick is also less than 15 minutes from the Emerald Princess Casino Cruise Ship and Hofwyl Broadfield Plantation and is also near the Federal Law Enforcement Training Center and the Southeast Georgia Regional Medical Center.